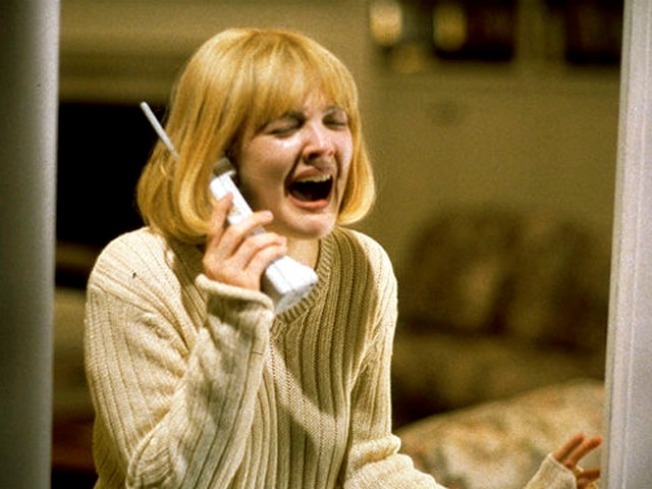 Drew Barrymore in Wes Craven's "Scream." DARK NIGHTS: In a seasonally appropriate installment of the Times Talks series, the paper’s theater critic Jason Zinoman assembles horror-film master Wes Craven (he of everything from Nightmare on Elm Street to My Soul to Take) and Oren Peli (his résumé may be shorter, but he created the film Paranormal Activity) to talk shop—namely, to pick their brains about the horror genre and how they plug into our deepest fears. Frights & Thrills: The Horror Film is at the TimesCenter, 6:30PM. SPACE PLATES: If your idea of what astronauts eat starts and stops at freeze-dried this and powdered that, think again. The American Museum of Natural History hosts the authors of The Astronaut’s Cookbook: Tales, Recipes and More; Charles T. Bourland and Gregory L. Vogt will tell you exactly how it all goes down (literally) and look at how space eats have evolved (Emeril Lagasse’s crab cakes—in space?) And yes, you’ll even get to sample some. Part of the Adventures in the Global Kitchen series, 6:30PM. REVISIT: It came out in 1971 as (among other things) an entry into the road-movie canon, but Barbara Loden’s Wanda—a tale of a detached Pennsylvania housewife who gets divorced, gives up custody of her kids, and wanders into an unlikely relationship with a felon on the lam—is much more than that. This is indie when indie meant something; a gem of verisimilitude that begs for an audience beyond its cult following (which includes Sofia Coppola, who’ll introduce the screening at MoMA). 7PM.